eLoan was established in 2012 and launched their product to the mass market on September 2013. It is the first Israeli peer to peer lending platform. BusinessBlocks is a business that loves small business. In fact, its mission is to empower Main Street to live the American Dream. Justin Kulla started the venture-backed online education company for one reason: to help small businesses that have never had any formal business training/education to succeed. When implementing an Inbound Marketing strategy, a dilemma arises when to pick up the phone/keyboard and reach out to an Inbound lead. B2B companies typically spend significant amounts of money setting up a website they are proud to make their online business card. But consider this - who is ending up on the homepage of your website and at what stage of their decision process? I'll venture a guess that those are prospects who are looking for a specific solution and are now trying to decide between vendors and figure out which can best help them achieve..
For B2B companies, campaigning on Google AdWords can often be a grueling and unrewarding experience. The process is different compared to B2C for a number of reasons. Perhaps the main difference is that business-to-business relationships are ongoing, require trust and the sales process generally takes longer than business-to-consumer relationships. Also, the B2B decision-making process often takes place on multiple levels within the company’s hierarchy. Turning complete strangers to customers is a challenge. It requires a deep understanding of the B2B sales cycle and its complexity. 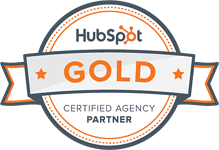 When searching for a B2B marketing agency, make sure to partner with professionals who understand your company needs. This post will help you learn what to look out for. Selling services or products to another business can be frustrating. You need to deal with endless rejections, cold shoulders and being flat out ignored. Your target customers are busy doing their job and they don't want to be interrupted. This post will help you recalculate your route to closing B2B sales. B2B and B2C marketing are worlds apart. As opposed to B2C, B2B sales cycles are typically long and complex, requiring multiple decision makers, aimed at narrow audiences of specific industries, have a high life time value (LTV) per customer, and are long lasting engagements. Many bold and brave CMOs who tried to make the shift from traditional marketing to online, were disappointed by the results of their efforts, quickly crawling back under the traditional marketing rock. The.. The biggest challenge when selling B2B online, is an authority issue. People want to trust a brand and see it as a professional one before deciding to buy from it. This post will walk you through how to build trust and create long lasting relationships with your prospects, in a way that will make selling to them natural.